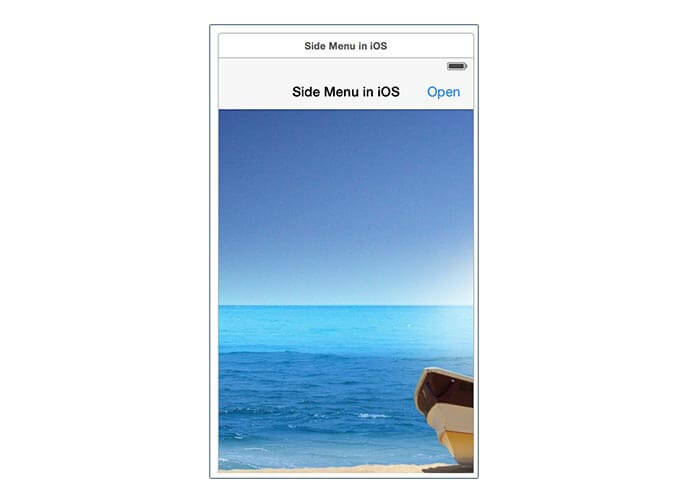 In this tutorial you'll see how to create a custom side menu for your iOS app using Swift. You'll learn how to define your custom container view that manages the center view and the side view, how to define a protocol in swift and how to define a custom table view cell. This is the side menu for iOS that you'll create. Let's create a new Swift iOS single view project. Leave blank the section called Main interface under the app configuration. We'll use our custom container as a main interface. Let's now define the main view interface by going to the appdelegate.swift. 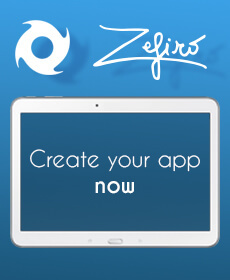 Here you'll edit the application function, the first function that is called as soon as the app is ready. Now create the required classes. 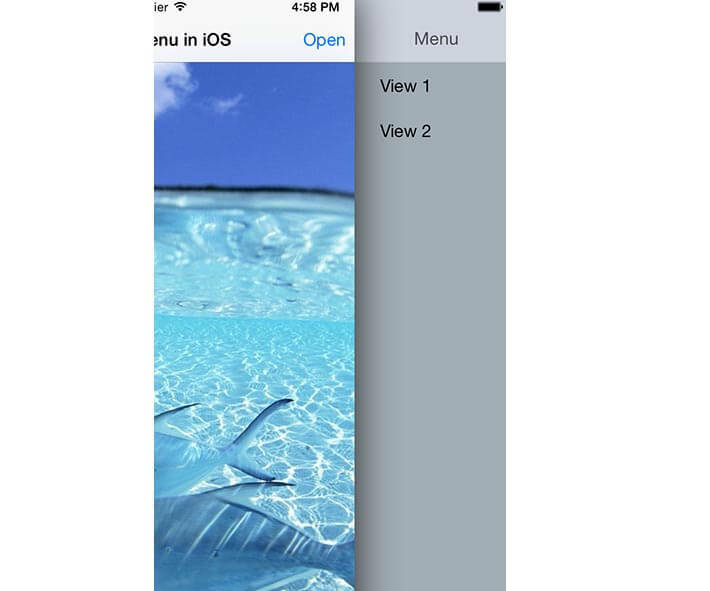 Create 3 cocoa touch classes for iOS and set as a subclass the UIViewController and name them respectively: ContainerMainView, MainView and SideMenuController. The ContainerMainView is the main class that will manage everything and all the sub views. The MainView defines the center view, while the SideMenuController defines your custom side menu. Let's now move to the storyboard. Firstly let's disable the size classes feature. Next you've to select the UIViewController that has been already added by swift. Under show attribute inspector turn off is initial view controller and put as a navigation bar the translucent navigation bar. Under the identity inspector set the sub class to MainView and the storyboard id to MainView. Inside the MainView add the NavigationBar on the top and the Bar Buttom Item inside it. If you want add also a UIImageView and set under the attribute inspector the aspect fill mode (this allows the image to adapt in respect of the available sizes). 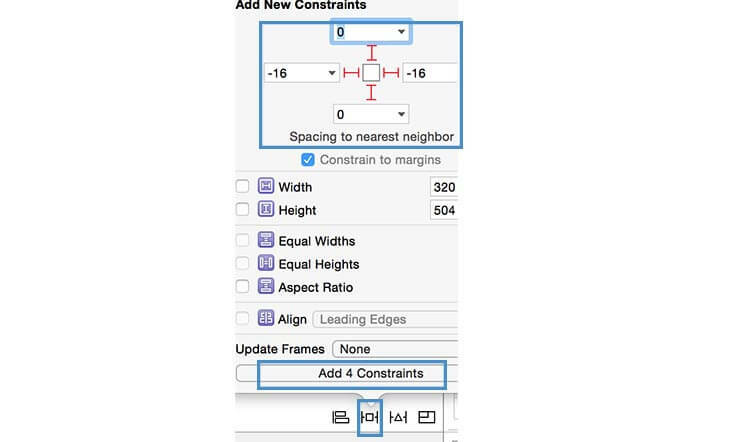 Add also the constraints to the UIImage. In the screenshot below I've reported how the MainView should look like. Let's define now the Side menu view. 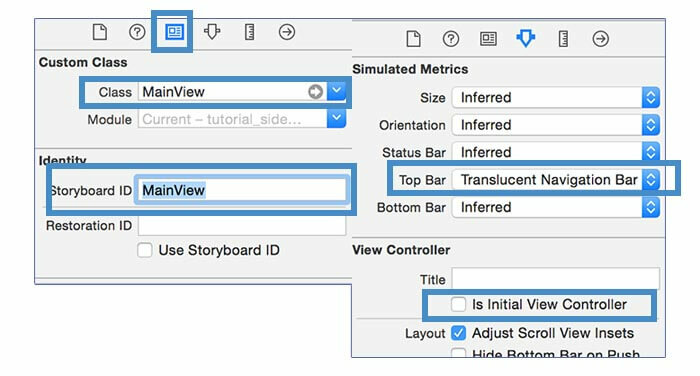 In the storyboard add a new UIViewController. In the identity inspector as a sub class set the SideMenuController and as a storyboard id set SideMenu. Create a new Swift File and call it common. Inside it define the protocol that will be used. A protocol is an interface that allows the classes to comunicate between each other by using the functions and variable defined by the procol itself. Put as a subclass of the container menu the SideMenuDelegate protocol. This class will implement this protocol. Initialiaze now the variables inside the viewDidLoad, define the protocol delegates identifier to self (self is the class that will receive the events call and that will implement the protocol's functions) and add the gesture recognizer event. Let's define now the functions for adding the side menu view, the shadow and the animation. In the following the function for the gesture recognition is defined. Let's code now the SideMenuController. 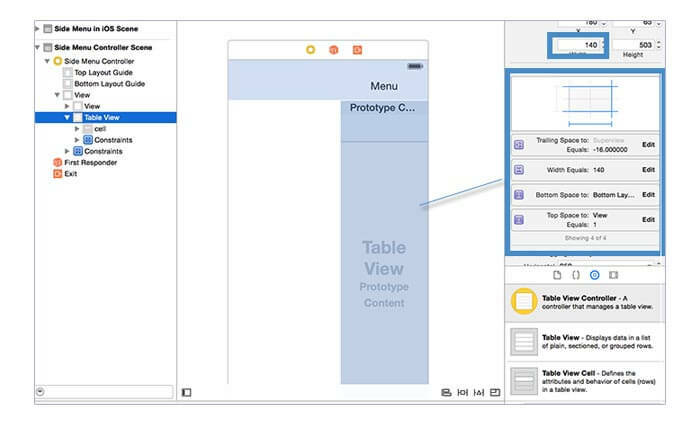 Firstly connect the table view from the storyboard to the class. Next define an array for the menu elements and set the data source and delegates. Finally the MainView class is defined. This class implements the SideMenuClick protocol for changing the background as soon as a click event on the side menu occured. Any updated on the new Swift 3 tutorials? otherwise this looks perfect for what I wanted to learn! In your example you are just updating a single view but passing a different reference to an image. How would you handle the instance where when the menu slides opened and the user clicks on a menu option that a different view (not just the MainView) get displayed. Example you have the same 3 views you mentioned as: - ContainerView - SideView - MainView but now you have lets say an additional views like - ProfileView - SettingsView So the app starts up with the mainView being displayed and then the user slides the menu out and clicks on Profile which should display the profileView and if they slide out the menu and select the setting menu option it displays the menuView and if they open the menu and they hit the main option the mainView is displayed. So in other words the menu option dictate which view to display and not how you currently have it where it just updates an image in the same view (mainView) each and every time!? Hi, thank you for your comment. You'll have two options: 1) as soon as you click on a menu item, you have to close the menu, and push in the navigation controller hierarchy the new view, be sure in this case to disable the menu sliding and reactivate as soon as the user go back to the main view 2) if you do not want to use the view hierarchy you have to dinamically load the view controller inside the "mainview" - so in this case as soon as you press on a menu item, the menu will be closed, the main view subviews will be removed, the new view controller will be added inside the mainview - in this second options in every view you still have the menu. Can you provide the code? I am a little unclear on the steps to be taken for either option. Sure, I'll write a tutorial about that in these days with the two ways to change views. I'll write an email as soon as it is ready. Does this code works on Swift 3 or need to be rewritten? Thanks. Hi, it should be a bit rewritten. I'll do it in the next days and will inform you as soon as the new download example is ready.